Find the latest 2004 Honda Odyssey recalls as issued by the National Highway Traffic Safety Administration (NHTSA) and Manufacturers. Consequence GEAR FAILURE COULD RESULT IN TRANSMISSION LOCKUP, WHICH COULD RESULT IN A CRASH. Consequence IF THE PUMP STOPS WORKING, EHT ENGINE WILL STALL WITHOUT WARNING, AND A CRASH COULD OCCUR. Notes HONDA RECALL NO. P43. CUSTOMERS CAN ALSO CONTACT THE NATIONAL HIGHWAY TRAFFIC SAFETY ADMINISTRATION'S AUTO SAFETY HOTLINE AT 1-888-DASH-2-DOT (1-888-327-4236). Notes HONDA RECALL NOS. P30 (ODYSSEY AND PILOT), P31 (MDX), P38 (ACCORD) AND P39 (ACURA). CUSTOMERS CAN ALSO CONTACT THE NATIONAL HIGHWAY TRAFFIC SAFETY ADMINISTRATION'S AUTO SAFETY HOTLINE AT 1-888-DASH-2-DOT (1-888-327-4236). Remedy DEALERS WILL CHECK THE ELECTRICAL COUPLER TERMINAL OF THE FUEL PUMP. IF ANY CORROSION IS FOUND, THE PUMP WILL BE REPLACED. THE RECALL BEGAN SEPTEMBER 27, 2004. OWNERS SHOULD CONTACT HONDA AT 1-800-999-1009. Remedy ON VEHICLES WITH 15,000 MILES OR LESS, THE DEALER WILL UPDATE THE TRANSMISSION WITH A SIMPLE REVISION TO THE OIL COOLER RETURN LINE TO INCREASE LUBRICATION TO THE SECOND GEAR. ON VEHICLES WITH MORE THAN 15,000 MILES, THE DEALER WILL INSPECT THE TRANSMISSION TO IDENTIFY GEARS THAT HAVE ALREADY EXPERIENCED DISCOLORATION DUE TO OVERHEATING. IF DISCOLORATION EXISTS, THE TRANSMISSION WILL BE REPLACED IF DISCOLORATION IS NOT PRESENT, THE DEALER WILL PERFORM THE REVISION TO THE OIL COOLER RETURN LINE. 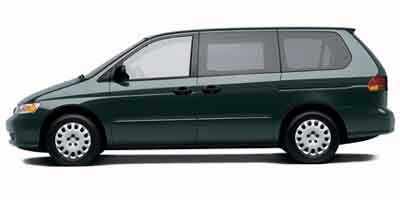 THE RECALL BEGAN ON APRIL 21, 2004, FOR PILOT, ODYSSEY, AND MDX OWNERS. OWNERS OF THE ACCORD VEHICLES WILL START RECEIVING LETTERS ON JUNE 28, 2004, AND ON JUNE 29, 2004, FOR OWNERS OF THE TL AND CL VEHICLES. OWNERS SHOULD CONTACT HONDA AT 1-800-999-1009 OR ACURA AT 1-800-382-2238. Summary ON CERTAIN MINIVANS, THE FUEL PUMP MAY FAIL DUE TO CORROSION OF AN ELECTRICAL TERMINAL. Summary ON SOME MINI VANS, SPORT UTILITY AND PASSENGER VEHICLES, CERTAIN OPERATING CONDITIONS CAN RESULT IN HEAT BUILD-UP BETWEEN THE COUNTERSHAFT AND SECONDARY SHAFT SECOND GEARS IN THE AUTOMATIC TRANSMISSION, EVENTUALLY LEADING TO GEAR TOOTH CHIPPING OR GEAR BREAKAGE.